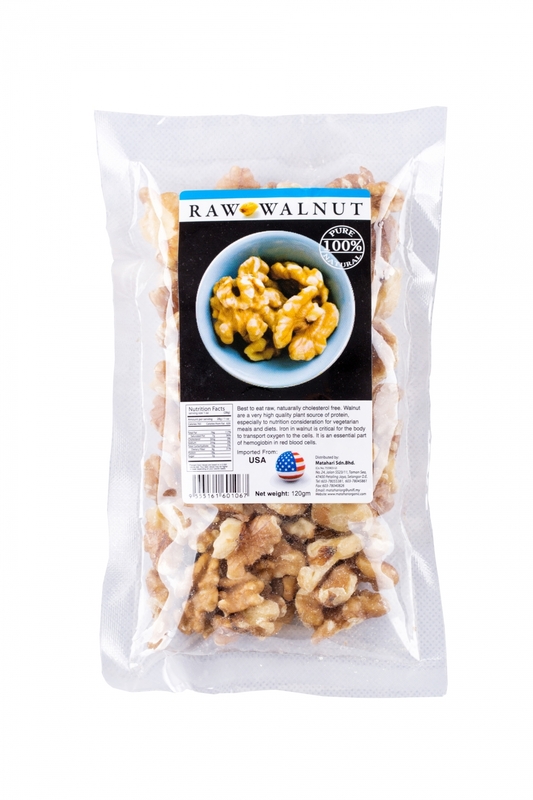 Walnuts are edible kernels obtained from tree belonging to the Juglandaceae family, in the genus, Juglan. Walnuts are a delicious way to add extra nutrition, flavor and crunch to a meal. Rich in monounsaturated fats & Omega-3 which help to reduce the risk of coronary disease. Combine toasted walnuts with other nuts and dried fruits to make a healthy snack. Toast, crush and mix walnuts into plain yogurt and top with honey or maple syrup. Add toasted walnuts to salads or healthy sautéed vegetables.